There are many different welding codes, all with their own requirements. There are different product shapes such as pipe or plate. Different product shapes require different types of skill. There are different sizes of these products, with different thickness or diameter dimensions. Different thickness or diameter require different skills. There are different types of materials. These different materials all have their own issues or difficulties when welding, so require different skills. There are different welding processes. Each welding process has its own set of skills. Despite the potentially thousands of different Welder tests, within the mainstream industries we tend to see a number of them which are performed as a "standard". If we can concentrate on these "typical" Welder tests, then we will be a long way down the road to knowing what skill base is the most useful to develop preferentially. When reading this information, it will also be advantageous for you to look at the pages dealing with Welder essential variables (Click here to find out more about Welder essential variables.) and welding codes. (Click here to find out more about welding codes.) As we discuss the typical Welder tests below, please keep in mind that there can be some subtle differences when different codes are followed. The intention with this page is to guide you in the typical tests and what the issues are. This is not meant to be a substitute for a code. The intent with the Welder test is to demonstrate that the Welder has the necessary skill to deposit a sound weld when following a qualified welding procedure. For this reason, a Welder should always be provided with a Welding Procedure Specification (WPS) to follow when performing the Welder test. This also means that if a Welder can demonstrate that s/he has the skill to perform a weld that is considered to require a high skill level, then the Welder will be deemed competent to perform welding that is deemed to be easier than was demonstrated in the Welder test. When a Welder performs a Welder test or coding test, a couple of pieces of metal are typically welded together. This completed test piece is usually termed a "coupon". The Welder test coupon is then subjected to the tests required by the code. If the coupon passes the tests, then the Welder is qualified within the relevant essential variables as listed on the Welder Performance Qualification Record. (WPQ or WPQR) Some codes may have a somewhat different name for the "qualification certificate", but it will sound similar to the name "Welder performance qualification". The first main categorization of Welder test is whether it is done on plate or pipe. Broadly speaking it is easier to weld plates together than pipes. For this reason, most codes will allow a Welder that is qualified to weld on pipe, to also weld on plate. In other words, the pipe Welder test coupon is seen as a higher level of qualification than the plate coupon. While there can be all kinds of fancy joint types, the main joint types are groove welds or fillet welds. In a groove weld coupon, the end of at least one of the pieces of material is prepared to form a groove, so that once the weld is done, the weld metal tends to sit in the same plane as the end of the material that was prepared. Fillet weld coupons are welded when the end of one part of the material (e.g. a plate) is pushed up against another so that it tends to form a T or step. The fillet weld is then formed by placing the metal within the corner formed. When a coupon is welded on a groove joint, then it is typically given a "G" designation. When a coupon is welded on a fillet joint, then it is typically given a "F" designation. The next main categorization of Welder test revolves around the position within which the Welder performs the test weld. It should be obvious that if the molten weld metal is not pulled out of the weld preparation by gravity, then it is simpler to perform than when gravity is trying to pull the molten weld metal onto the floor. Also, it takes different skills to weld in a vertical direction than when you are welding over your head. Therefore, you typically need to demonstrate that you can do both of these, before being allowed to perform "all position" welding in production. Because this positional variable can make a big difference in the difficulty of the test, people that are not really mainstream Welders, will typically do their Welder test in the flat position. This will allow them to weld together smallish components that they can rotate to ensure that they always only weld in the flat position. This would be typical of boilermakers that want to make up pipe supports or similar components within the workshop. Flat (Often designated: 1G; 1F): This is typical for the not so serious type welding work. This can be achieved with a plate in the flat position, or a pipe with its axis horizontal, but having the pipe rotated during welding. This allows the welder to always weld in a flat position. Plate in the Vertical position, along with a plate in the overhead position. (Often designated: 3G & 4G OR 3F & 4F): With many codes, this combination of Welder test coupons will allow the Welder to weld in all positions. This is usually dune for structural work. Groove weld in pipe with the axis in the horizontal plane, but not rotated. (Designated 5G): This Welder test coupon will typically qualify a Welder to weld in all positions, excepting the horizontal position. This is typical when doing pipeline welding or other piping work within a workshop. Groove weld in pipe with the axis of the pipe at 45 degrees to the horizontal. (Designated 6G): This Welder test coupon will qualify the welder to weld pipe and plate in all positions. 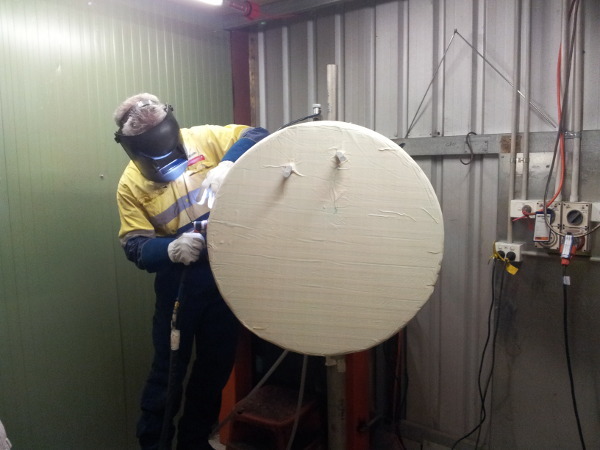 Restricted access Welder qualification testing is common when welding in boilers, because the boiler tubes are very close together, thereby restricting your access to the weld all the way round. Another industry that often calls for a restricted access Welder test is the structural steel industry. The reason for this is that in large structures such as buildings, bridges or off-shore platforms, tubulars tend to come together at “nodes”. (This is done to reduce bending forces in the structure, but that is another story.) Due to the relatively sharp angles at which these tubulars intersect each other, the space is rather limited to perform the welding, hence the requirement that the Welder demonstrate that s/he can perform this welding. There are obviously hundreds of different materials that could potentially be welded in a Welder test. Many materials have similar weldability as far as the Welder is concerned, therefore the codes generally tend to lump them together in "groups". Even then, there are a lot of groups. We will only look at the main test coupons welded from a material perspective. Carbon manganese steels: This is the main material used for structural work and most utility piping and pipelines. It is generally one of the easier materials to weld, and should not result in too many issues, as long as you follow the welding procedure (WPS) provided. Austenitic stainless steel: The typical materials will be either type 304 or type 316 stainless steel. The main thing when welding these materials is the fact that there needs to be a backing purge set up when doing single sided pipe welds in stainless steel. You will need to learn how to set up a backing purge if you want to be a "serious" pipe welder. As mentioned earlier, there are potentially hundreds of different materials for Welder test coupons, but if you can weld carbon steel and stainless steel, ten you will have the skill to weld most of them. Materials such as Aluminium and Titanium certainly have additional challenges, but those skills are not called on that often, unless you are working within specific industries or market segments where these materials are common. Over time you will certainly need to acquire the skills to weld those materials, but first focus on the two listed above. As the pipe diameter becomes smaller, it requires more skill to weld. For this reason, most welding codes will give a number of diameter ranges. You will typically be allowed to weld down to the bottom of the diameter range within which your Welder test coupon falls, and all diameters larger than the coupon. Welders also need to show that they can deposit welds in thicker materials, as multi pass welds require the welder to be more consistent with weld bead sizes and shape to end up with a suitable final weld cap. Due to these dimensional issues, Welders are normally required to perform a Welder test to cover the smallest diameter to be welded, and then also a coupon with a larger diameter, to take into account the thickest materials to be welded. This means that it is typical for a welder to perform a 1 or 2 inch coupon to show they can handle the smaller diameters, and then a 6 or 8 inch coupon to show that they can handle the thicker material. As mentioned many times, there are potentially thousands of different Welder test coupons that the Welder could be asked to weld. Indeed, by the time a typical welder in the petro-chemical industry comes to the end of their career, they would have welded a couple of hundred qualification tests. Also keep in mind that so far we have not discussed welding processes on this web page, so all of the different factors mentioned above also need to be thought of when welding with different welding processes. 2 Inch stainless steel pipe welded in the 6G position using GTAW for the root, fill and cap. 6 Inch stainless steel pipe welded in the 6G position using GTAW for the root and hot pass and SMAW for the fill and cap. The qualified ranges mentioned are based on the ASME IX welding code, but will be reasonably similar for many of the popular codes. Please do however keep in mind that Welder tests and qualified ranges are code specific. If you as a Welder had the qualification tests listed above, you would probably be considered employable for a high percentage of Welder positions in the petro-chemical industry. Having said this, a beginner Welder may want to start off more modestly by performing some structural steel plate Welder test coupons. This will get your foot on the first rung of the career ladder. As you gain confidence, you can start welding in the vertical and overhead positions, then progress onto pipe Welder test coupons and other welding processes such as GTAW and FCAW. If you are interested in the skills required within the different Welder niche areas, then click here to go to the Welder jobs page. During the welding of the Welder Performance Qualification coupons, the Welders are typically monitored by a supervisor or Quality Control (QC) welding inspector. If it is apparent to the inspector that the welder is not capable of performing the weld with a suitable level of skill, then s/he will terminate the test. This is not because welding inspectors are heartless, but because that is required of them by the welding codes. Following the completion of the welding of the coupon, the welding inspector will perform a visual inspection on the welding and make sure that it meets the code requirements. Typically the inspector will be looking for issues such as: excessive undercut, excessive root penetration, excess cap height, under fill, lack of root penetration etc. Only once the welding inspector is happy that the coupon meets the code requirements will s/he send it for further testing. As a general rule, a weld that looks good, is good! The coupon testing that is then performed is generally not concerned with the strength of the weld as such. The assumption is made that as long as the Welder followed an approved welding procedure, (WPS) then the mechanical properties will be acceptable. The coupon testing for Welder qualifications is concerned with establishing if the weld is "sound". It is looking for problems with fusion of the weld metal to the base metal or inter-run fusion problems, or porosity or other discontinuities. The tests that can establish this well are bend tests or radiographic testing. (RT) Most Welder qualifications are tested using either bend testing or RT. For welding processes that typically result in a lot of lack of fusion problems, such as Gas Metal Arc Welding (GMAW) using short circuit transfer, bend tests must be performed. Some welding codes and client specifications may require that the Welder qualification coupon pass all the Non Destructive Testing (NDT) to be performed on production welds, but this is unusual. 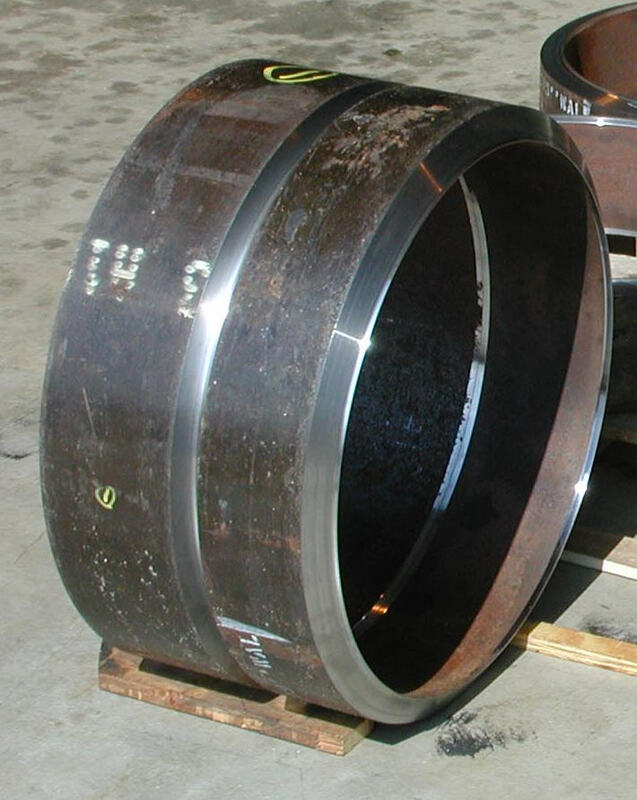 Sometimes for materials like Duplex Stainless Steels (DSS) some client specifications may require the Welder qualification weld to be subjected to impact testing or G48 corrosion testing. Again this is unusual, but quite possible for critical applications. Most codes will allow Welder qualification tests to be performed on production welds. Obviously the testing will be by way of Radiographic Tests. (RT) Cutting out the weld and doing destructive bend tests would make this exercise pointless, so this is only possible when the welding code allows qualification by RT, which most codes do. Coding by doing RT on the first weld performed by a Welder obviously introduces some risks. What if the weld does not pass the RT? Well, then the Welder fails the test, and the entire weld needs to be removed and re-welded by a qualified Welder. Welder qualification on production welds is often not allowed by client specifications. It will also only be done when the company is certain that the Welder is competent and experienced, but they still need to go through the coding process due to code and legal requirements. This route to Welder coding is not recommended when the Welder is unknown to the organization, or is inexperienced. Even though the Welder qualification test is being done on a production weld, all the steps regarding inspection and recording of variables and generation of Welder Performance Qualification Record (WPQ / WPQR) must still be complied with. 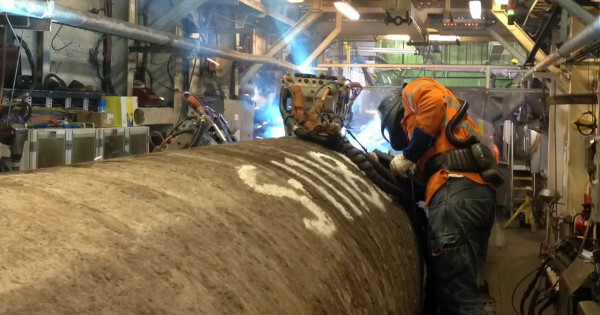 Welders Performing Semi-Automatic Flux Cored Arc Welding (FCAW) on a Pipeline. Economic reasons: When two or three welders can be qualified on a single coupon, then the material costs and testing costs are much lower. 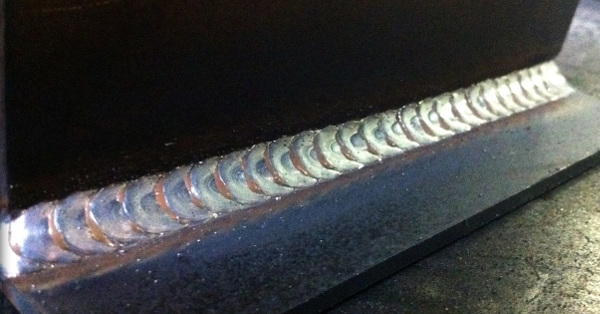 As an example, let us assume that a 15mm thick coupon is used, and that 3 welders each deposit 5mm of weld deposit. Then each Welder will be qualified as if they welded their own 5mm thick coupon. It does however increase the risk, as a single Welder’s failure then affects the outcome of all the other Welders. When welders will differ in their roles on a project: There are times (e.g. on pipeline construction) where different Welders specialize in their Welding roles. 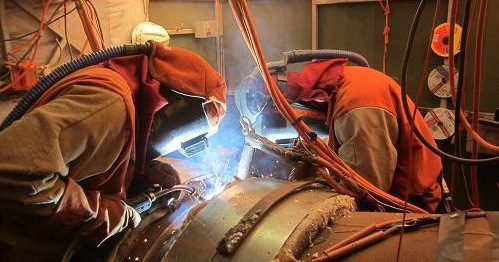 As an example, on a pipeline construction project, some Welders may only weld the root and hot pass while other welders will only do fill and cap pass welding. 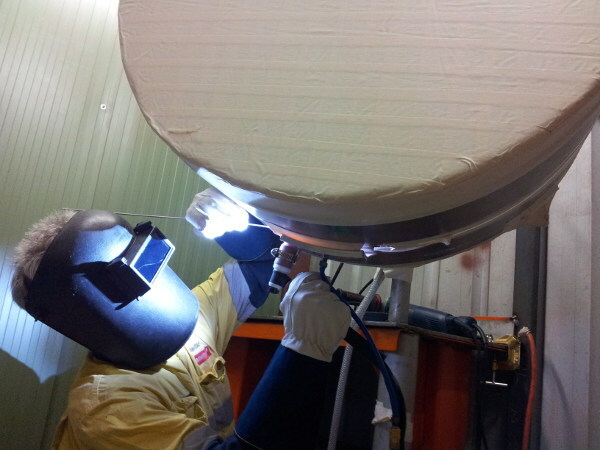 In this situation two welders will be qualified on a single coupon, to reflect the role they will play on the project. When multiple Welders qualify on a single coupon, then it is important to note that they will not necessarily have the same essential variable qualified ranges. (Click here to find out more about essential variables and qualified ranges.) The Welder Performance Qualification (WPQ) will reflect what part of the weld each Welder completed, and what the Welder is then qualified to do in production. As an example, when one welder deposits the root run on a single sided pipe weld coupon with GTAW, and a second welder completes the weld using SMAW, then only the first Welder is qualified to use GTAW without backing, and only the second Welder will be qualified to weld with SMAW, but only with backing.